Fosgitt will lead the implementation of Net Zero Energy (NZE) initiatives for Federal Government clients. In this role, Richard will work closely with SSOE’s Director of Federal Programs, Mike Duffey and SSOE’s energy consulting group. Duffey stated, “SSOE is focused on delivering comprehensive, value-added services in support of the DoD and other Federal Agencies’ energy objectives. Richard’s solid program management and energy expertise along with his leadership will further enhance our team’s capability and contribute to an overall mission accomplishment for our clients.” SSOE has a GSA contract schedule (Contract Number: GS-21F-0078X) to provide Facilities Maintenance and Management Services including smart building consulting, commissioning, energy audits, and water conservation services. In addition, SSOE provides energy master planning, project programming, detailed engineering, construction management and implementation support. Fosgitt brings with him 20 years of professional engineering experience. His expertise includes design and development of energy and industrial projects, project permitting, feasibility studies, conceptual estimating, and funding / grant assistance. He holds a Bachelor of Science in civil engineering from Michigan Technological University in Houghton, Michigan and is a registered professional engineer (PE). 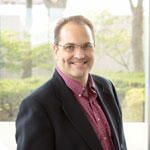 In addition, Fosgitt serves as an advisory board member for the Civil Engineering Enterprise Program at Michigan Tech.